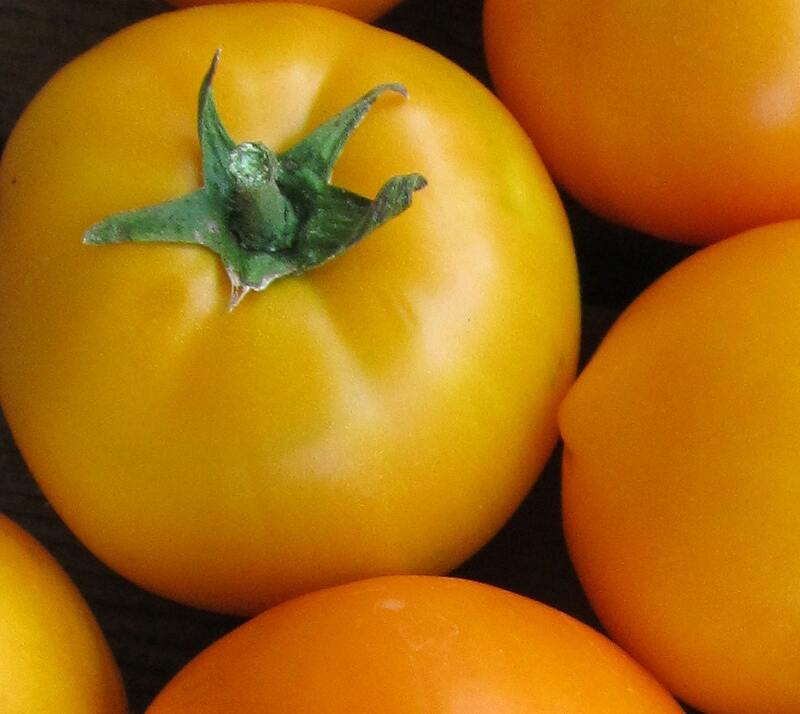 Perfectly round, always good-looking, this bright yellow tomato bears delicious fruit on and on and on. It’s a determinate, but it doesn’t act that way! You’ll have hundreds of exquisite big tomatoes. Fruits last for weeks on the vine without cracking. Meaty firm flesh can be easily dried in slices or cooked down into sauce. And because the vines are compact, plants can be grown without support. The market gardener’s favorite. Culture: Start seeds indoors six weeks before last frost. Good soil, full sun. A thick mulch will protect fruit lying on the ground if you let the plants sprawl.